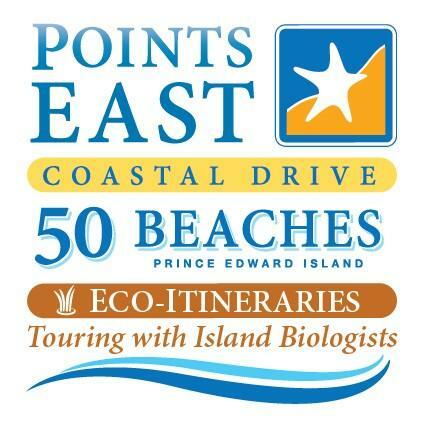 There are lots of ways to travel to Prince Edward Island and you'll find suggestions below, with helpful links to other websites, like airlines and ferry schedules. What’s the transportation situation in the province? If you're not coming in your own vehicle or on a tour bus, you'll want to rent a car. 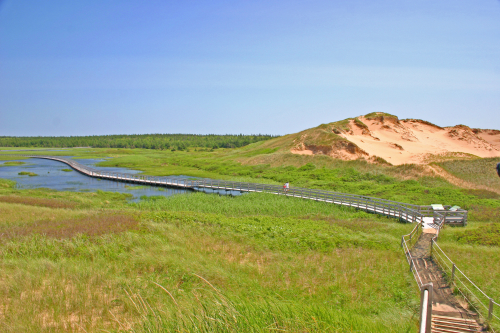 Prince Edward Island is a rural place that's perfect for exploring and driving tours. Most car rental companies have offices in the Charlottetown, Halifax and Moncton Airport and in the larger towns and cities. There are no rail lines. For the list of air carriers contact http://www.flypei.com/index.php?page=air_carriers or your local travel agent. Private pilots can take advantage of airports in Charlottetown and Summerside. 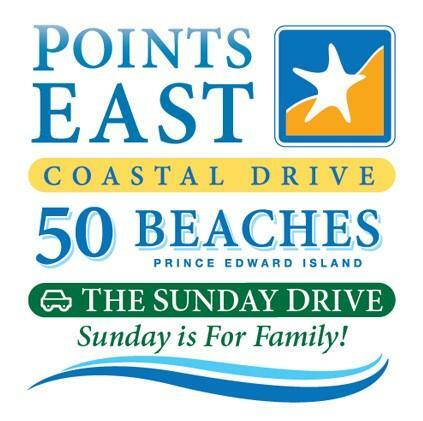 Driving to Prince Edward Island provides two unique experiences; crossing a 13-kilometre Confederation Bridge which links New Brunswick to PEI, arriving at Borden-Carleton. Or arrive via a relaxing 75 minute sail aboard Northumberland Ferries departing from Caribou, Nova Scotia and arriving at Wood Islands, and placing you directly on the Points East Coastal Drive. The bridge and ferry tolls are paid only on departure. The Confederation Bridge - www.confederationbridge.com is open 24 hours a day and takes approximately 12 minutes to cross. Tolls are collected only when leaving the Island. Additional information about the bridge is available by telephoning, toll-free, 1-888-437-6565. 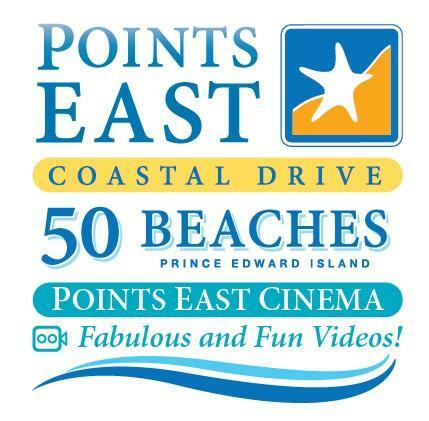 If arriving via the Confederation Bridge, follow the TransCanada Highway to Charlottetown following the Charlottetown Bypass and connecting back to the TransCanada at the Hillsborough River Bridge on the east side of Charlottetown where you will enter Points East Coastal Drive. 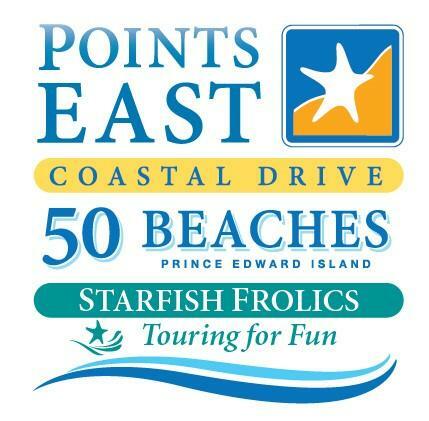 Proceed by following the Star Fish signs to discover the special places along Points East Coastal Drive. Northumberland Ferries - www.peiferry.com depart from Caribou, Nova Scotia and Wood Islands, Prince Edward Island, on a schedule of about every 90 minutes, offering a pleasant respite. Discover a regional tradition on a voyage across the beautiful Northumberland Strait with Northumberland Ferries. This 75-minute ferry trip between Wood Islands, Prince Edward Island and Caribou, Nova Scotia offers a variety of onboard amenities and services tailored to the Maritime experience. From aboard the MV Confederation and MV Holiday Island, spend less time behind the wheel and more time taking in the beauty of the Atlantic coast, listening to live music, savoring local flavors, and catching up over a cup of hot coffee. C.T.M.A. - http://www.ctma.ca/en/ offers regular ferry service from Souris, Prince Edward Island to Cap-aux-Meules, Îles-de-la-Madeleine, Québec. Telephone 1-888-986-3278 for additional information. Maritime Bus – www.maritimebus.com offers daily bus service from various cities in New Brunswick and Nova Scoatia to Borden-Carleton, Charlottetown and Summerside, PEI. Telephone 902-566-9962 or toll free 1-800-575-1807 for more information. A number of companies offer shuttle services by van to and from Charlottetown (and selected other Island locations) and Halifax, Nova Scotia. These companies operate from various locations and on different schedules; contact each for details about their specific services. East Connection Shuttle - passenger shuttle from Souris (Les Îles-de-la-Madeleine ferry), Montague, Wood Islands ferry, St. Peters. Passenger, luggage, bicycle, shuttle service on Confederation Trail. Island-wide tours. Visit some of the finest attractions on PEI. Personally tailored tours. Multillingual guide service.